The hard to get view from the east side with the floor beams and out rigger timbers in place. This was right before the temporary span (seen underneath) was removed so the photo is already out dated. Re: Gaining the moxie to try Moxie . . .
Re: More about Moxie . . .
Re: Torquing the Truss Assemblies . 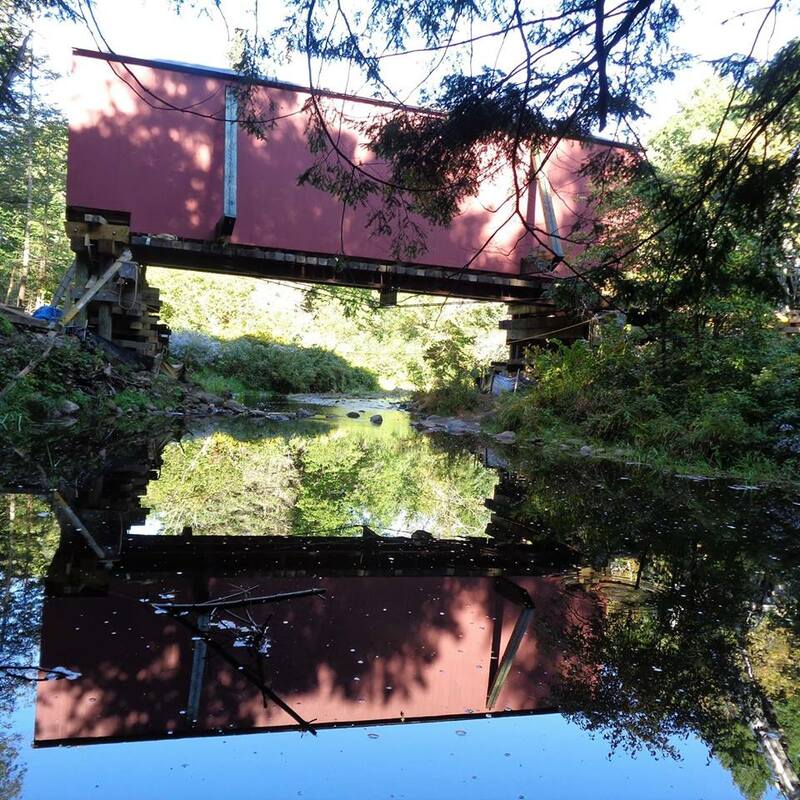 . .
Re: The covered bridge as it looks now. Re: WW&F covered bridge, south piles & cap. Re: Friday progress pic, bridge decking installed. Re: Side view of the temporary span. 9/8/2018 - What a day! Re: WW&F Railway bridge, rare east side view. Re: Monday bridge pics, how'd you fish the beam in? Re: Bridge photos from today, Tuesday Sept. 18th - the span is lowered. Re: Thursday's construction pics. We're done. Re: WW&F Railway bridge "Builders Photo"
Re: WW&F Railway bridge "Builders Photo", west side. Re: WW&F Railway bridge - North end, what? ?